Ever since I walked into a B-school, I have been hearing this adage that the best jobs go to the people who can ‘market themselves well’. Now before coming here, the only ‘market’ that I had known was a few blocks down the road from where I lived and it was a place where I haggled with the shopkeepers before buying things! So it took me a little time to understand what this new ‘market’ was all about. Then came Marketing Management as a subject to help me out. But then I got confused and could not decide whether I was a product or a service! Now as an engineer sitting in a management class, my eyes used to light up every time a framework or a 2X2 was being explained. Having said that, I still could not understand whether it was the 4Ps of Product Marketing or the 7Ps of Service Marketing that was going to be applicable to me when I would set out to market myself. 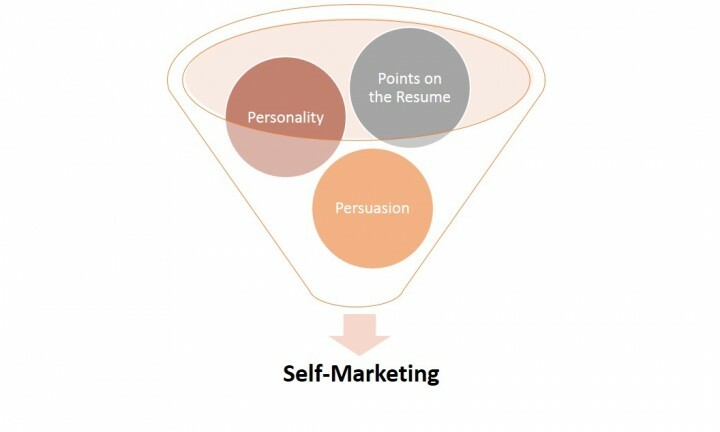 One of my professors had once said that in order to be a good marketer, we should design our own framework. So in search of greatness, I put in some thought behind the matter and came up with something – my very own ‘3Ps Model of Self-Marketing’. Points on the Resume – These are what would generally get you an interview shortlist and put you into the consideration set of the companies that are looking to hire. Hence, building that ‘one’ CV takes days, months, and, if possible, then years! White spaces here are looked at as taboo because they somehow blur the image that the companies would like to form about you. Remember – your CV gets to the companies before you do. Now comes the question of getting those resume points. A smart and simple solution is to start early and participate in as many things as possible. But a little hitch that must be taken into account is that it is not enough to just make the numbers in a competition – you also need to be awarded something other than a mere ‘Certificate of successful participation’. Be it school, college, or even your work place, it is advisable to stick your finger in as many pies as possible, simply because you would want to improve your hit-rate of winning them. In a nutshell, the sub-heads that almost every CV is sure to have are those of – Positions of Responsibility, Academic Awards and Achievements, and Extra-curricular Achievements. If you have substantial material for each one of them, then getting to that interview can be considered to be a lot easier. Personality – Now you walk into that interview room and see yourself in front of a panel who has already been through your CV and have deemed you fit enough for a tete-a-tete. It has been often said that your first impression is frozen in the minds of the people you meet, within the first seven seconds. If that be true, then the way you open the door and ask, “May I come in?” to the way you wish them to the point where you dutifully stand next to the chair as long as they do not ask you to sit down – all count. Personality can be seen as an umbrella term for your attitude. Remember, in the panel there is always somebody whose job is to simply observe you – see if you are sweating too much, if you are making proper eye contact, if you are fumbling, or if you are suffering from a major lack in confidence. What generally helps here is being straightforward and sincere. You are not expected to know everything that they ask you – but you are definitely expected to be honest about it. Keep in mind that you are there because they think that you are worth meeting. Give them the assurance that they have made a correct decision. Try and ensure that the time you spend in the interview room is worthwhile for both the interviewers and yourself. Persuasion – This comes into play once the interview has started. Persuasion should not be confused with re-iterating the same things over and over again in order to get your point across. It is giving the interviewers the assurance that you are capable to handle and learn things that you do not know currently. Even they know that all that you might be required to do once you are in the job, is not something that you already know. Hence, they are looking for the ‘learnability’ within you – which is basically how eager you are to pick up new things. Remember that persuasion works best when coupled with a smile. Never become aggressive if they do not agree with you. A mild firmness in your voice and a constant smile on your lips, are what is enough to convince them that you have what it takes. The three-pronged model that I just described has been a product of my experience in appearing for four interviews in my life so far. And by God’s grace, all of them resulted in successful conversions. 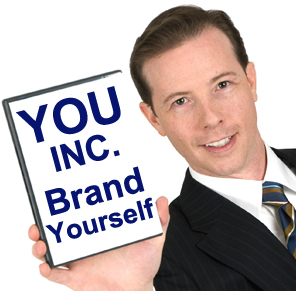 But that does not mean that all companies look for the same thing, and I can, in no way, guarantee that the 3Ps Model of Self-Marketing is a sure-shot success. This is just a suggestive framework to help you channelize your focus in the pre-interview and during-interview stages.